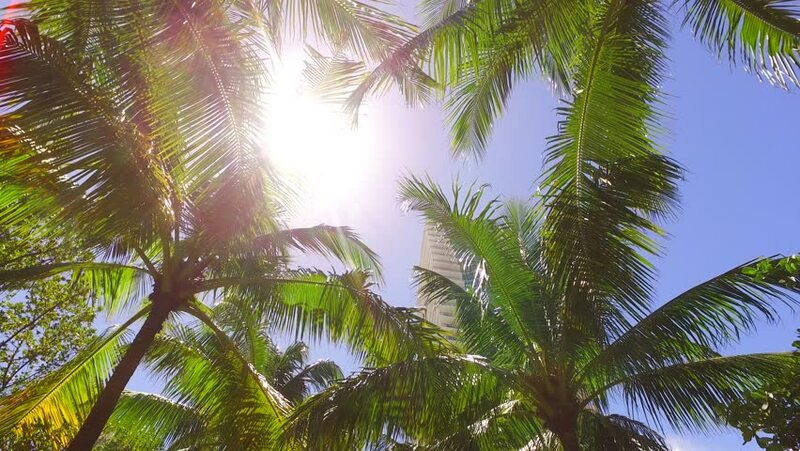 Looking up at Palm Trees in Miami Beach,Florida. 4k00:20Beautiful Palms In Backlight, Native 4:2:2, 10 Bit Material, straight out of the cam. hd00:15Crones of tropical palm trees against the blue sky. hd00:11Coconut palms on the beach of Varadero, Cuba resort. hd00:12Untouched Tropical Beach in Thailand. Clouds Mooving Fastly. Speed up.